We review the best selling Triumph motorcycle on the market with an 80 mile ride. I love how easy it is to throw your leg over this bike and just take off. It’s got a retro look to it and it’s just big enough for me to enjoy the ride. I’d say it’s a great bike for going back and forth to work and around town. Although it’s not a bike built for distance I don’t think I’d have any trouble riding it for a hundred miles or better. 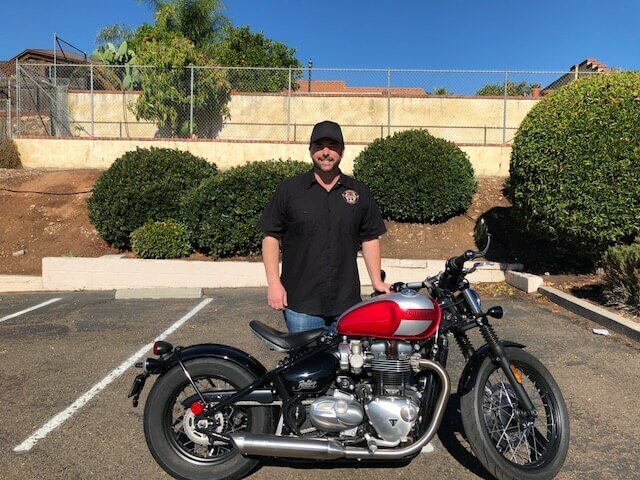 If you’re looking into buying one, watch this video and ask how you can take one for test ride at Triumph Motorcycles in San Diego, Ca. Thanks to Jeff and the crew for letting us take this cool bike for a spin.